You can get FREE admission to the The Great New York State Fair on August 23rd and 26th if you own a valid New York State Sporting License. DEC’s #IFISHNY staff will also be holding free family #fishing clinics at those days from 10am-2pm. 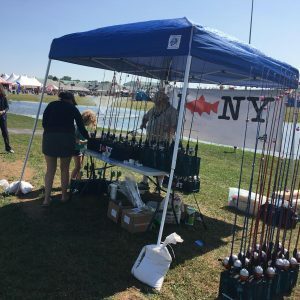 You can participate even if you don’t have a New York State fishing license. Rods and bait will be provided and DEC staff will be on hand to assist.